If Dumfries and Galloway isn’t already on your ‘must visit’ list, it definitely should be. The area is rich in natural beauty, with stunning coastal walks, themed towns (including a Book and an Artists’ Town), an abundance of lovely places to watch wildlife (which requires a whole other post – stay tuned), world class bike trails, the UK’s only Dark Sky Park and Scotland’s most southerly point. To help you plan a trip to the area, here are some suggestions from locals on interesting things to see and do. Dumfries and Galloway has a wealth of great walks, but if you’re looking for something a bit different, why not combine a lovely walk with a splash of art? This unique experience comes recommended by a number of locals: a series of sculptures by Henry Moore, Auguste Rodin and Jacob Epstein are scattered along a winding hill road at the Glenkiln Reservoir. (My personal favourite is the King and Queen by Moore, perched overlooking the reservoir. What a view to be permanently fixed in front of). Keeping with this theme, the region hosts an annual Spring Fling event, where artists, makers and designers open up their studios to the public. 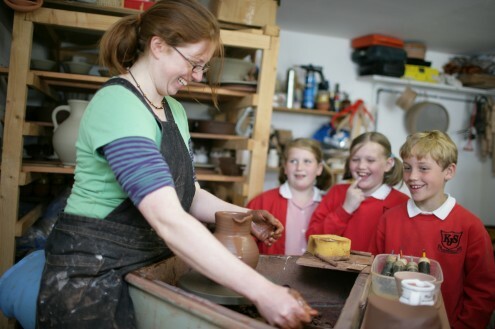 This art and craft event is widely used by locals and visitors to the area and is held during the May Bank Holiday weekend. It is a fantastic event that allows you to discover more about a range of disciplines including painting, ceramics, glass, jewellery, photography and textiles. You can also download the Spring Fling app and use it throughout the year to explore visual art and craft in the region. Why not try your hand at gold panning? During July and August, you can search for the gold hidden in the Lowther Hills at the fantastic Museum of Lead Mining. This gem of a museum is a four star Visit Scotland Attraction, located in the highest village in Scotland – Wanlockhead. Go underground to an 18th century lead mine, take a look inside a miner’s cottage and head to the Visitor Centre for a fascinating display of gold, mining and local artefacts. You can also explore the second oldest subscription library in Europe. Step off the beaten track with Mark Williams of Galloway Wild Foods and learn how to forage and cook wild food. Join one of Mark’s organised forays, such as Family Foraging and Bushcraft, Foraging and Wild Cookery, or Coastal Foraging, or take the family on a guided walk to learn more about Galloway’s wild, and plentiful, larder. What could be more romantic than ending the day with some stargazing? 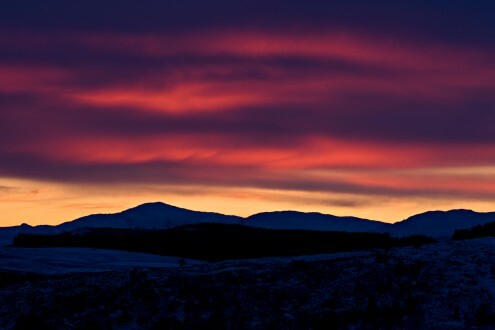 Find a spot to enjoy the beautiful night skies above Galloway Forest Park – the area is a specially designated Dark Sky Park where the stars are especially visible due to the low ambient light from towns. Read more about the Dark Sky Park and tips for stargazing in Galloway in our interview with Lucy Hadley, Recreation Ranger. If you’re looking for more ideas on things to see and do, take a look at the brilliant Scottish Natural Heritage ‘Explore for the Day’ guide on Dumfries and Galloway. These guides feature a wide range of ideas on great places to enjoy nature, landscapes and history, with some lovely hidden gems as well as top attractions. And for a truly authentic experience of the region, live like a local in your own home-from-home – find the perfect Dumfries holiday cottage or Galloway holiday home to base yourself during your next holiday. Do you have any top tips to add? What do you love the most about Dumfries and Galloway? Leave any comments or questions below – we’d love to hear from you. Explore the coast with some great beaches (like Sandyhills, Mossyard or Monreith) and rugged clifftop walks, such as near Balcary Bay, giving great views and opportunities to watch the wildfowl and seabirds. Take the kids to the Cream o’Galloway or CocoaBean factory, or Mabie Farm Park. Go mountain-biking on any of the 7Stanes trails through the forests and hills. Discover the Merrick (SWScotland’s highest mountain). See the ospreys nesting at Wigtown, Threave or Caerlaverock, or maybe even spot an Golden Eagle up in the Galloway Hills. Paddle a dragon boat on Loch Ken. Visit Scotland’s most southerly whisky distillery at Bladnoch, nr Wigtown, or the earliest Christian foundation at St Ninian’s Priory in Whithorn. Retrace the steps of Robert the Bruce, or see where Mary Queen of Scots spent her last night on Scottish soil. Follow Scotland’s Garden Route though the Rhins of Galloway. Well worth a visit to the old Corn Mill in Port William – a restoration project with opportunities to view historical farming practices – eg ploughing with heavy horses – as well as buy freshly ground flour. Thanks so much for the comment, Joesph – a great tip.